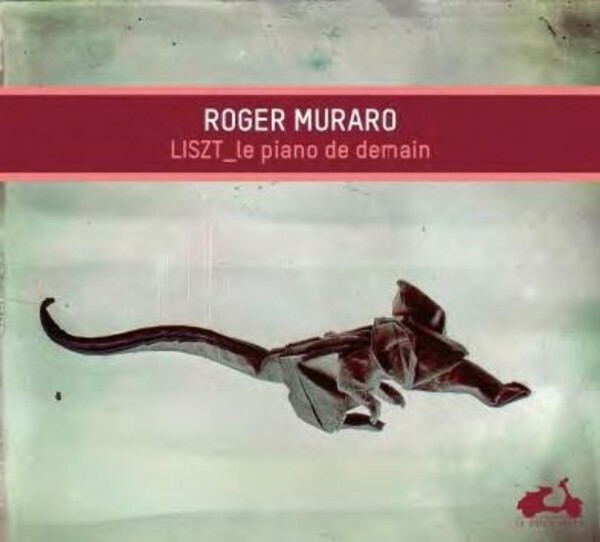 From the B minor Sonata to the Wagner transcriptions, the works of Franz Liszt find an outstanding interpreter in Roger Muraro. Accustomed to conceiving chords as colours, the pianist transports us from shadows to light with highly nuanced playing, dazzling energy and prodigious virtuosity. A performance deeply moving in its simplicity, transcended by a recording of demonstration quality for his first release on La Dolce Volta. Born to Venetian parents in Lyon, Roger Muraro studied with Yvonne Loriod at the Paris Conservatoire and met Olivier Messiaen. He quickly became established as one of the leading interpreters of the French composer, to whom he devoted a complete recording of the solo piano works, finished in 2001, that earned unanimous critical acclaim. His performances without a score of 'Vingt Regards sur l�Enfant J�sus' and the complete 'Catalogue d�oiseaux' are regarded as not only a prodigious feat, but also an intimate appropriation of the works of Messiaen, with which he identifies totally. While he is gifted with a dazzling technique, having studied for several years with �liane Richepin, and won prizes at the Tchaikovsky Competition in Moscow and the Liszt Competition in Parma, his playing is invariably placed at the service of poetry and sincerity. His artistry is equally at home in Mussorgsky, Ravel, Alb�niz, Rachmaninov, Debussy and in Beethoven, Chopin, Liszt, Schumann, from whose music he extracts the full range of emotion, colours, Romanticism and sonics. Roger Muraro is a welcome recitalist in the world�s leading concert halls and works with today�s foremost conductors and most prestigious ensembles. Eclectic, open to a musical world without frontiers, he now distils his experience as a pianist and his pedagogical skills for the students of the Conservatoire National Sup�rieur de Musique et de Danse de Paris.